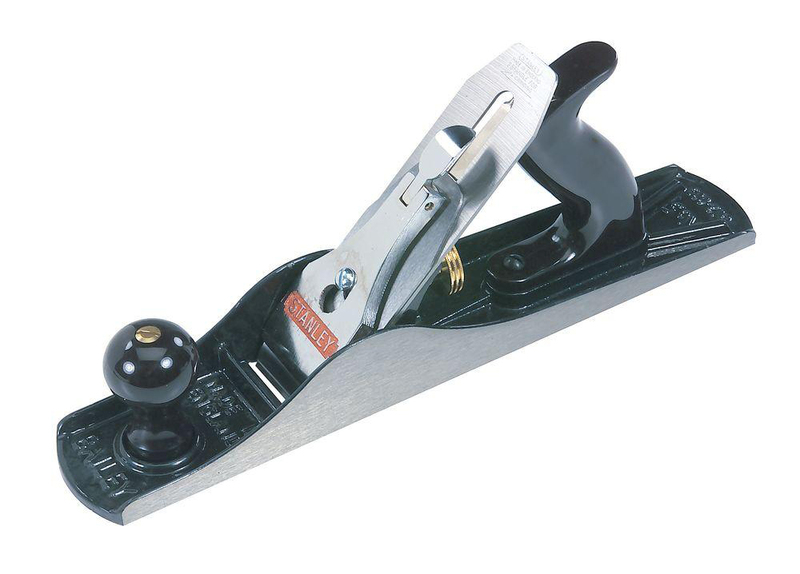 A block plane has a sharp adjustable blade that can remove thin ribbons of wood stock along the edges of boards and the surfaces of solid stock and plywood panels. It easily smooths saw blade marks and can make wood joints fit better by carefully paring away extra stock where two boards meet. This tool, also known as a chalk reel, consists of a plastic or aluminum pear-shaped “box” that functions as a reservoir for powdered chalk. Inside the box is a small spool with string wound around it. As the string is pulled from the box, it travels through the chalk and becomes coated in the powder. Hold the leading end of the line down on a mark, pull the box end tight, and hold it down on a second mark. The string is stretched tight and snapped, shaking the chalk from the line and depositing it on the workpiece. This allows you to draw reliably straight lines for long distances, up to the length of the string. A set of four wood chisels (¼-, ½-, ¾-, and 1-inch wide) is useful for any number of jobs, from hanging doors to removing extra glue from assembled parts like cabinet drawers and baseboard trim. You can also use chisels to scrape up dried joint compound and sharpen pencils. For general construction work, buying an expensive set doesn’t make much sense because the cutting edges are so easily damaged. Fortunately, they’re easy to sharpen on-site. Just take a half sheet of 100-grit sandpaper, nail it to a piece of scrap lumber, then rub the cutting edge of the blade over the paper. Try to maintain the same edge angle that the manufacturer used. Careful work can yield a satisfactory edge until you can sharpen the blade properly on a grinder. 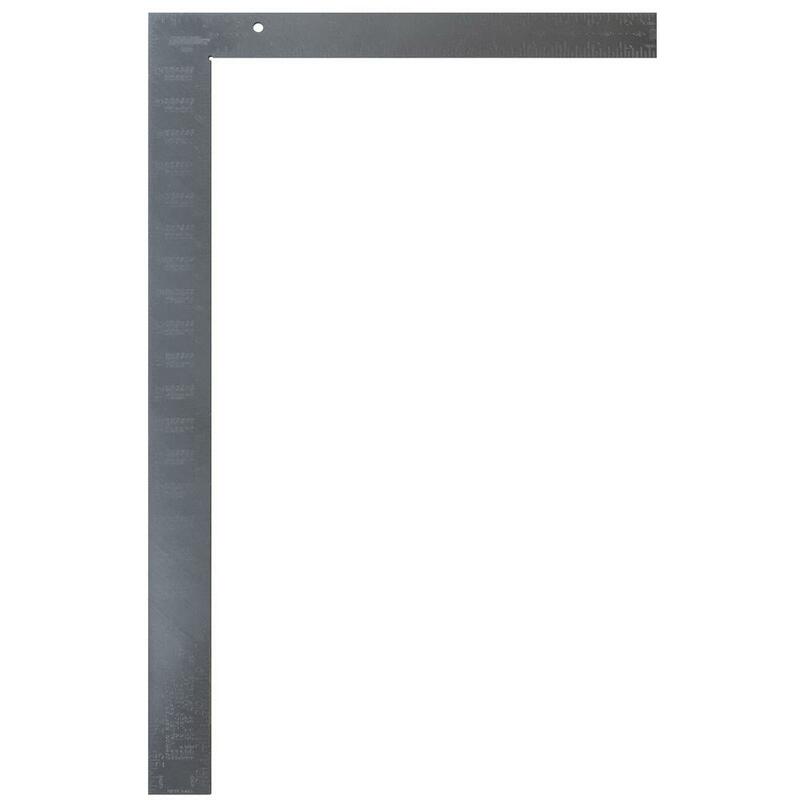 A simple flat steel pry bar is the tool of choice for many jobs, from prying a framed wall into place to centering windows and doors in their rough openings. These tools come in various sizes, but the 1½-by 14-inch model shown here is probably the most versatile. This right-angle tool has one 16-inch leg and another 24-inch leg. All the edges are stamped with inch increment marks, and the center of the blades provides other information like rafter tables that let a carpenter lay out roof rafters to match specified roof pitches. 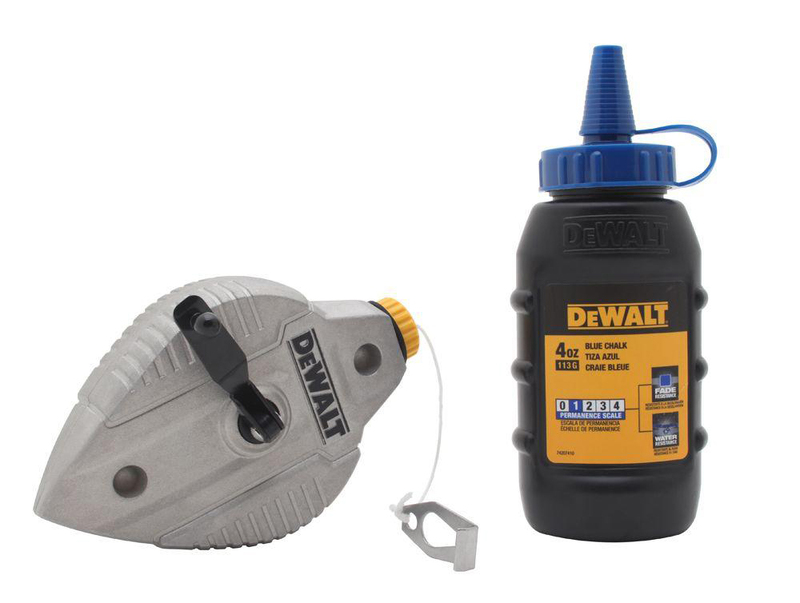 These tools are often made of lightweight aluminum and are used for guiding a circular saw guide to make square cuts on stubs, headers, and joists. Even though construction screws can now be used for just about any job, there are still nails to be driven and hammers to drive them. 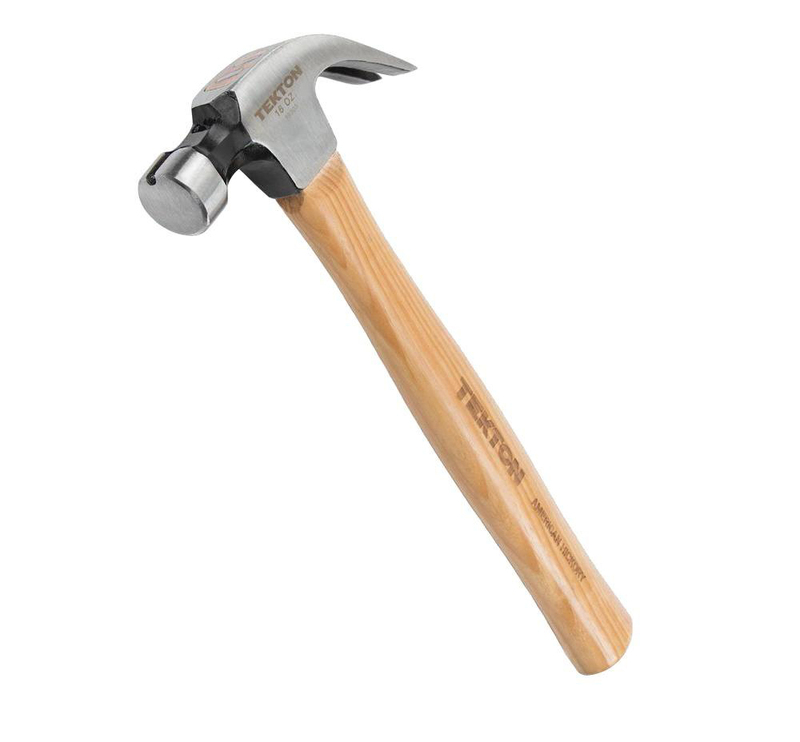 The default carpentry hammer is a 16-ounce claw hammer with a head to drive in nails and claw on the other end to remove nails. Heavier models, with longer handles and straight claws, are the choice of framing carpenters, but for most other jobs the smaller tool is more efficient. 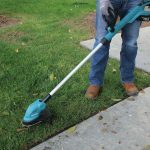 Steel heads with wood or fiberglass handles are popular, but solid steel units (made of one piece of steel for the head and handle) with cushion-grip handles are very common and virtually indestructible. Most carpenters confront a lot of screws in a typical day, whether they’re on locksets, hinges, drawer hardware, or light fixtures. Although some specialized screws require special screwdriver tips, most are either slotted or Phillips-head types. 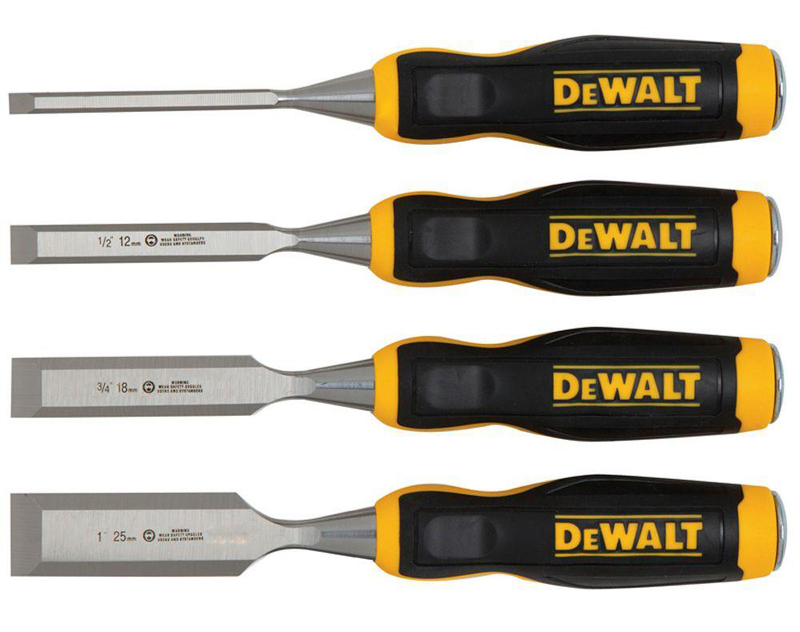 Choose a single multitip model to avoid carrying around a bunch of different screwdrivers. Quite a few specialized nail pullers are on the market these days, but for everyday work, the style shown here is all that’s required. The steel head features a curved edge that lets it dig into wood and capture a nail, just below the head. When the handle is pushed down, it levers the nail out far enough so that a claw hammer can remove it completely. For those who do finish work, like trim carpenters and cabinetmakers, these tools are essential. After installing a finish nail, use a nail set to drive the nailhead slightly below the surrounding surface. Then fill the resulting “hole” with caulk or wood filler before the surface is finished, thus hiding evidence of the nail. To use one, just place the tip of the set onto the nailhead, then strike the other end of the set with a hammer. 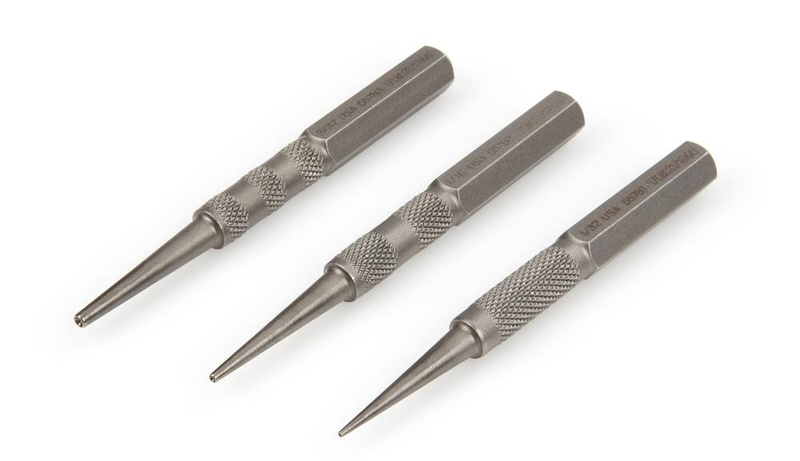 Different diameter tips are available for different-sized nails. 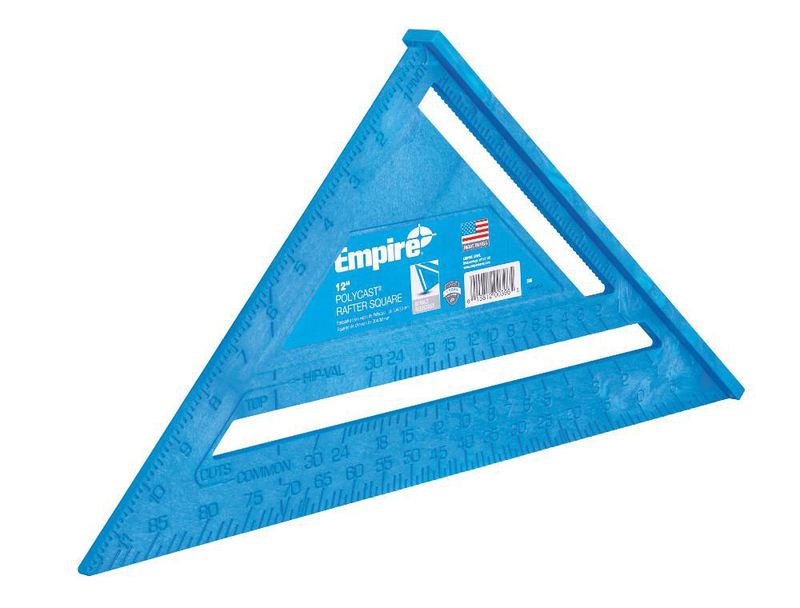 This tool is a smaller version of the framing square and fits easily in a tool belt. The simplest version is made of plastic and designed to do two things: Mark square cut lines on lumber and act as a circular saw guide when making square cuts. By holding one edge of the square tightly against one edge of the board and guiding the foot of the saw against the other edge of the square, you can make perfect square cuts in the field without a power miter saw, radial arm saw, or table saw. This is a bedrock tool. Only the hammer is more important to a carpenter. 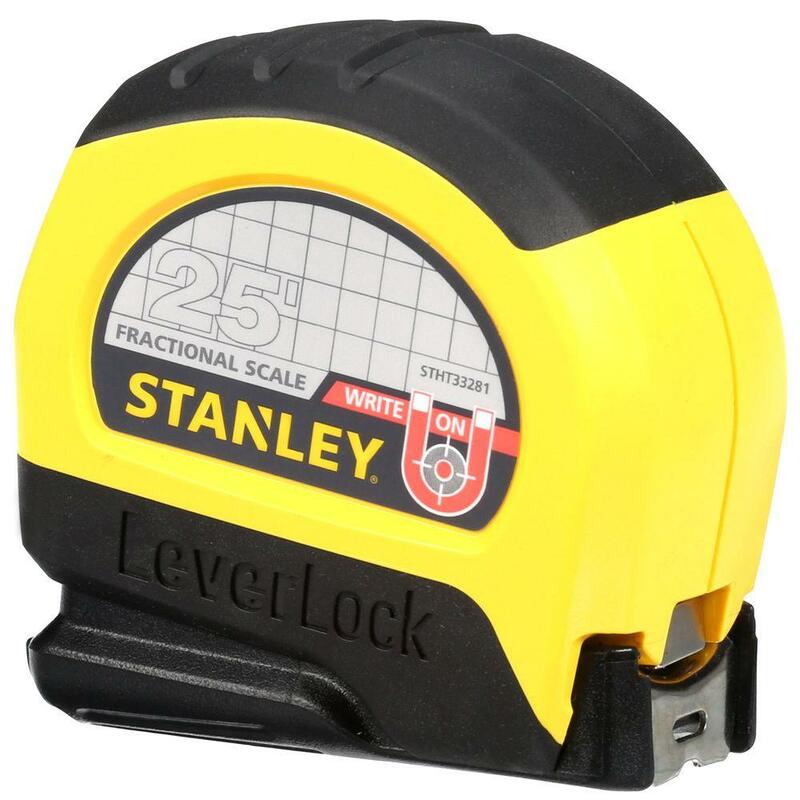 The tape measure’s most important features are a strong recoil spring, easy-to-read numbers, clear inch labels, fractions-of-an-inch labels, foot markings, and labels that clearly indicate 16-inch increments along the full length of the tape. For cabinet work, all you need is a 16-foot tape with a ¾-inch-wide blade. Most other jobs require a longer tape (25 to 30 feet long) and a wider 1-inch blade. Not many carpenters are happy to be wearing a tool belt stuffed with tools and nails and screws — especially on a hot summer day — but it’s less desirable to go back and forth to the truck all day long to get a tool they suddenly need but don’t have within reach. Tool belts keep everything right at hand. 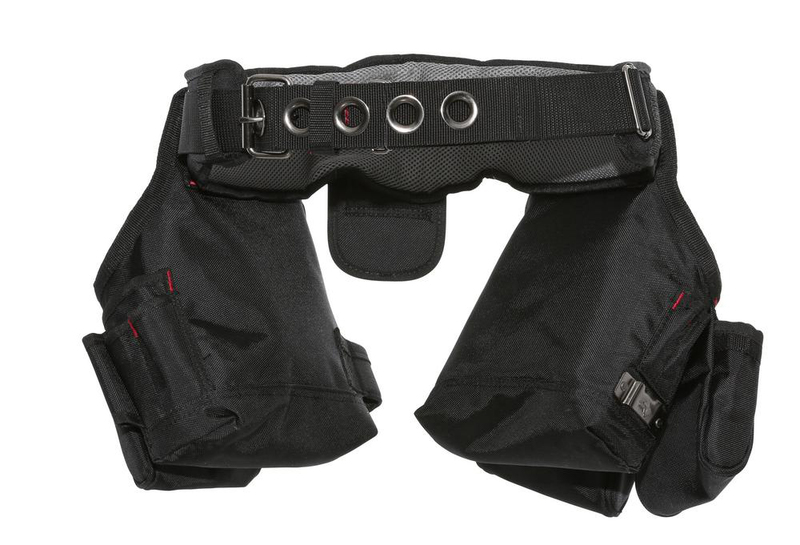 Find a belt with the features you need for the specific type of work you’ll be doing. Construction levels come in different lengths (usually 2-, 4-, and 8-foot models) and different materials (aluminum, plastic, and wood). Generally, the longer the tool, the better the accuracy. For the work most contractors do, a 2-foot aluminum model is a good choice. It can show level (horizontal) alignment and plumb (vertical) alignment. 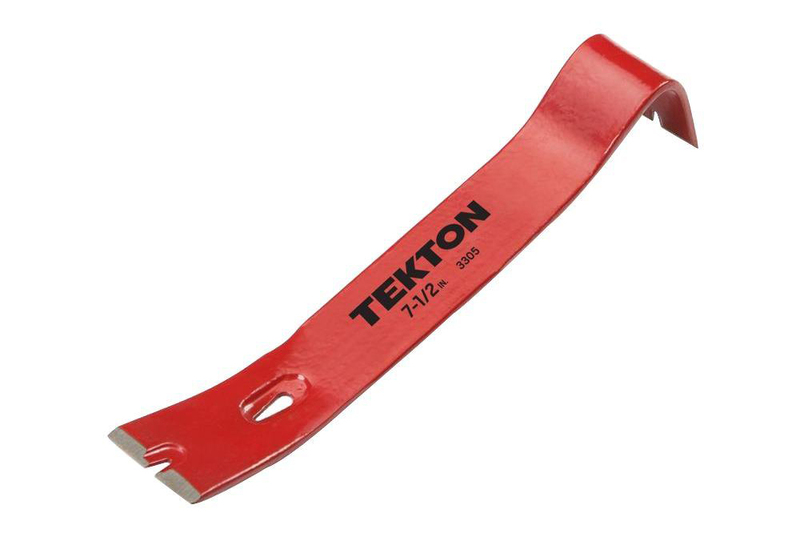 This tool can also work as a durable straightedge for guiding utility knife cuts in roofing felt paper, asphalt and fiberglass shingles, vinyl floor tiles, and drywall cutouts. This is certainly an unassuming tool — just two metal sides, joined by one screw, that hold a single razor blade in the tool nose and four or five replacement blades in the tool body. However, it is incredibly useful to have on hand, whether you need to sharpen a pencil or make a few small cuts. Most knife blades have two sharpened ends that can be easily flipped in just a couple of seconds. In fact, the slotted screw that holds the sides together can usually be removed quickly with the head of a nail. 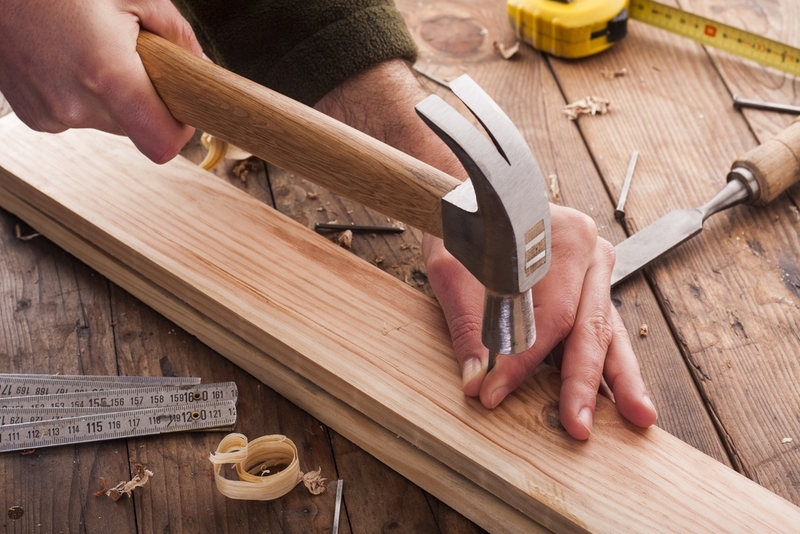 With the proper tools at hand, you’ll be prepared for almost any carpentry project and can quickly adapt to working on any jobsite. Author bio: Steve Willson writes for The Home Depot. He was the home improvement editor for Popular Mechanics magazine for 22 years and owned a carpentry contracting business in Rochester, N.Y. He?has also written?three books?about?home improvement and?tools. 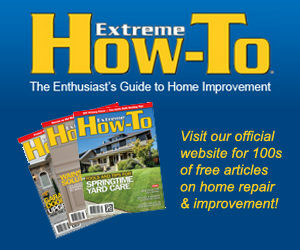 You can learn more about the kinds of tools Steve describes in this article by going to The Home Depot’s website. Editor’s Note: This article is editorial content that has been contributed to our site at our request and is published for the benefit of our readers. We have not been compensated for its placement.